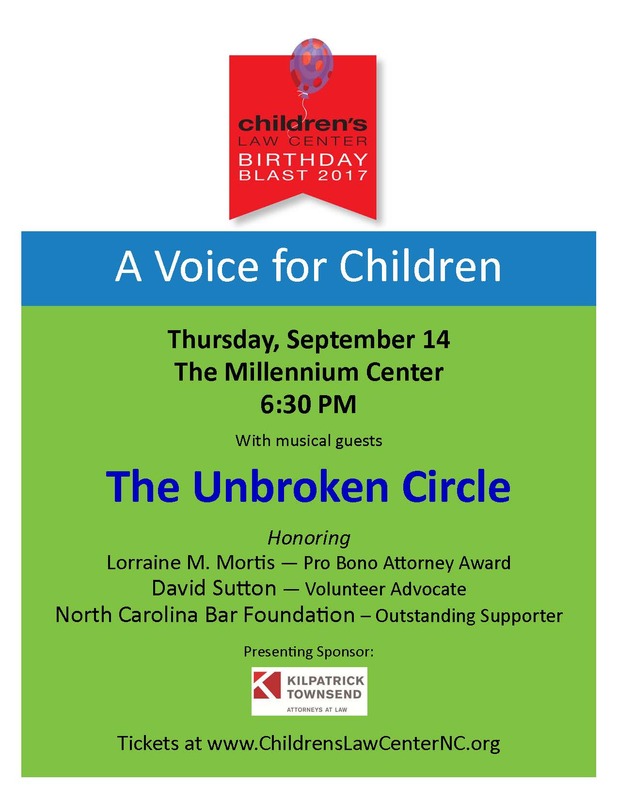 Ward Black Law is proud to be a sponsor the 2017 Children’s Law Center Birthday Bash! This evening will be full of good food and fun! The Unbroken Circle, a multi-generational string band of Wake Forest University, will provide musical entertainment. We hope that you will attend! If you are unable to attend this event, consider giving to this important organization to support the work they are doing to protect the rights of children in our communities.